The art jewellery brand, Aatman, which means inner soul has a store in Kothrud. You can shop for bangles, nose pins, pendants, jhumkas and more. They’ve got traditional heritage designs and more modern ones, which we are surely going to keep coming back for. The brand’s Kothrud store, inside a commercial building is a little hard to find, but once you do, you can shop for gorgeous art jewellery. The style is unique and what’s great is that each piece is handcrafted. Pair these accessories with any ethnic outfit and they’re sure to complement your look. Aatman believes in traditional designs and adding a piece of heritage to a woman’s jewellery box. So, a lot of their designs revolve around what women would traditionally wear during a wedding ceremony or for festivities. Each piece here has a story and you can find out more when you’re shopping here. Their jewellery is made with real silver and gold, with semi precious stones and some designs have a fusion of kundan and inlay work. And, it’s super affordable! 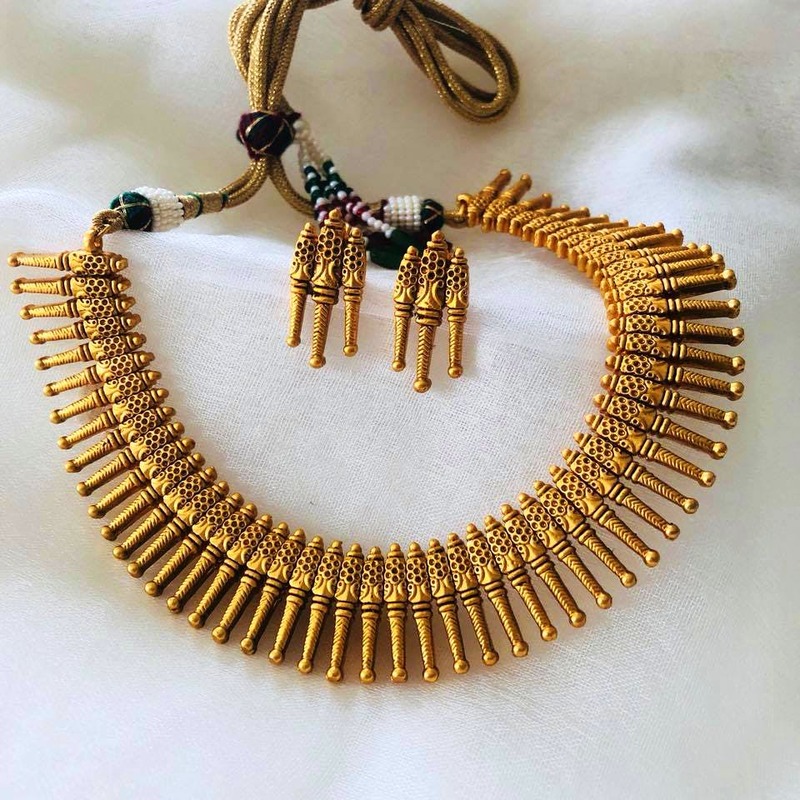 They have a focus on Maharashtrian heritage jewellery. So if you want to adorn a moti nath, they’ve got that for INR 200. But we’re in awe of their silver collection. Starting at only INR 150 they have real silver nose pins that are delicate and have unique patterns. Their oxidised pearl jhumkas at INR 1800 would look pretty on any ethnic outfit. They also have a range of stone studded rings starting at INR 1500. If you love nose pins, shop here. They’ve got a wide range that’s work well with Indian and western outfits.